Our 9-24 oz compostable cold cup lids are flat-shaped and smart looking. 32 oz lids for cold cups provide the perfect fit for all your 32 oz cold cups. 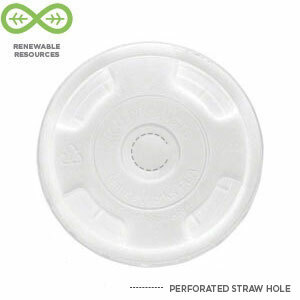 Our 9-24 oz corn cup dome lids are perfect for smoothies.